The Heartbreaker’s case is constructed from heavy duty steel with a thick rubber base and the control panel is recessed to make the controls as robust as possible. 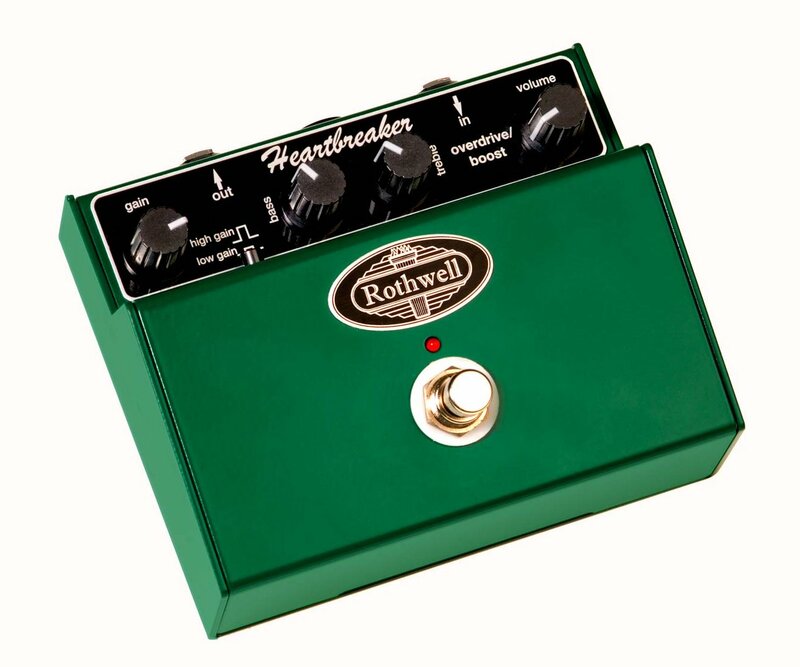 All the components are top quality with UK sourced printed circuit boards, custom made chassis mounted pots, CNC metalwork, anodised aluminium control panel (no screen printing) and tool-free battery access, and all the electronic and mechanical assembly is carried out in the UK to make the Heartbreaker a truly UK made boutique effects pedal of the highest quality. This view of the inside of the Heartbreaker shows our meticulous attention to detail with chassis mounted pots and sockets and “almost impossibly neat and tidy” wiring (according to Guitar Buyer magazine - read the full review). Details like the battery connector having strain relief to protect its connection to the circuit board and the use of heatshrink sleaving on the DC power supply socket show how committed we are to high quality construction. This is all labour intensive and time consuming but necessary to make the best quality pedals with ultimate long term reliability. Heavy distortion with gain, bass and treble set high. The guitar used is a Jackson tuned down to C. The sample is played by Chris Porter, switching between pedal bypassed and pedal active to demonstrate the pedal’s effect. Mild distortion to give a slightly raunchy and fatter sound. The guitar is a Telecaster. The sample is played by Chris Porter, switching between pedal bypassed and pedal active to demonstrate the pedal’s effect. High gain, singing lead tone. Thanks to Chris Porter and his Jackson guitar. The Heartbreaker costs £149 and can be purchased through our UK and international dealers (full list) or through the online shop.